The title could have said it all. Gallery group expos can showcase several artists at once, but most become just "another show," where they stand out as much as people in an elevator. But sometimes things click like a lively visual conversation as each piece brings out the best in the others. 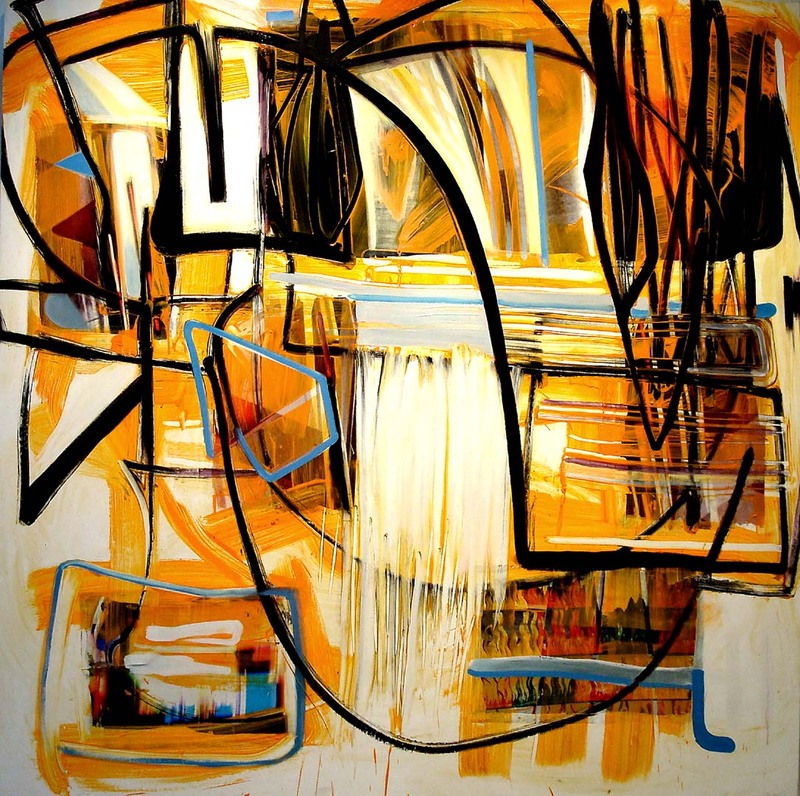 In this show, David Eddington's surreal Constructivist painting features some oversize, disembodied bones towering like obelisks in a hazy landscape that unexpectedly resonates with Pinkney Herbert's abstract Lines, above, where darkly cryptic markings on a sand-toned expanse suggest an ancient Mesopotamian attempt at modernism. Likewise, a vibrant graffiti-esque wall mural by Wendo complements some meticulous Blake Boyd paintings, below, that weave graffiti and pop themes into eloquent monuments to urban ephemera. Mass production, zombie robotics and industrial madness set the tone in works by Deborah Pelias, Trey Speegle and, especially, Iva Gueorguieva, whose complex abstraction, Machine Vision, functions as a postscript to her big, two person show with Regina Scully down the street at Octavia Gallery. In art as in life, context is not only important, it is what gives meaning to just about everything. Shawn Hall's A State of Natural Abstraction expo lives up to its name in these latest of her ongoing techno-baroque explorations of the elemental world around us. 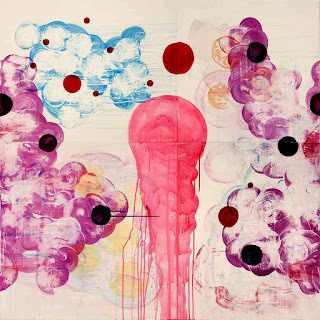 Bigger and bolder than much of her past work, paintings like Pink Head in the Cumulus, left – a crimson, mauve and azure phantasm of clouds and sunspots swirling in a pastel sky – suggest whimsical natural forces at work in the cosmos. But Coy Nematode returns us to ground zero with an elegant take on those tiny worms who seem to be biding their time, awaiting the day when they inherit the earth after we render it unsuitable for human habitation. In Hall's view, Ma Nature – and her elegant sense of humor – inevitably win out in the end. ~Bookhardt / ﻿Another Show: Group Exhibition of Paintings and Mixed Media Works, Through June 29, Boyd Satellite Gallery, 440 Julia St., 899-4218; ; A State of Natural Abstraction: Paintings by Shawn Hall, Through May 27, Cole Pratt Gallery, 3800 Magazine St., 891-6789.